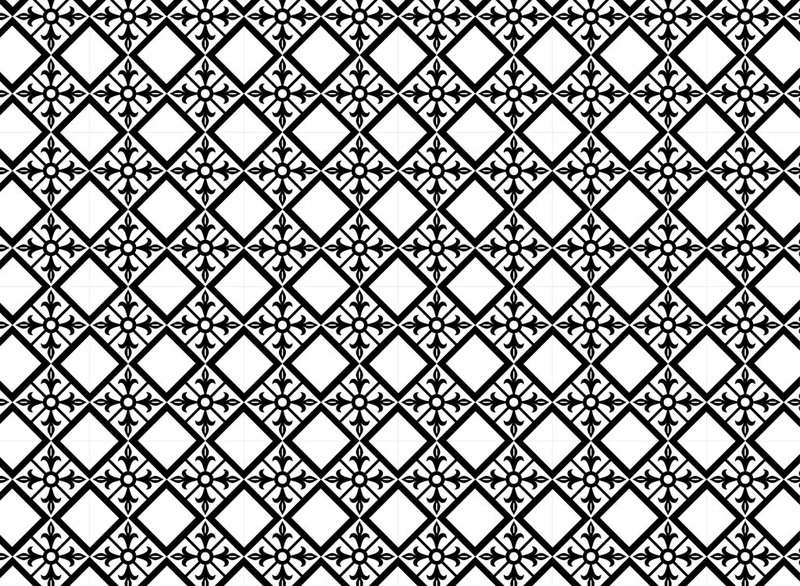 Vector graphics of a vintage seamless pattern. Floor and wallpaper pattern with diamond shapes and flowers. Flat design with flower blossoms to create spring, nature, retro, vintage, flowers, floral and floor tiles visuals. Free vector for wallpapers, backgrounds, clothing patterns and posters. Tags: Background, Floor, Floral, Flowers, Seamless Pattern, Vintage, Wallpaper.